← Jamie Foxx and Steve Harvey in a Priceless Video! 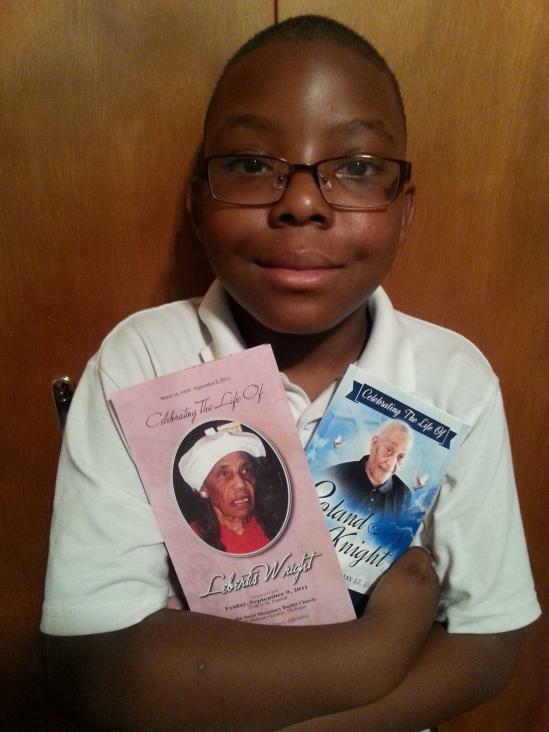 80% of his proceeds will be donated to the Michigan #Alzheimers Association in honor of my mother Lebertis Wright and my brother Roland Knight. We lost them both to this tragic disease. Jelly is holding their obituaries in the picture. My grandmother, Annie McDonald Knight had Alzheimer’s, too. 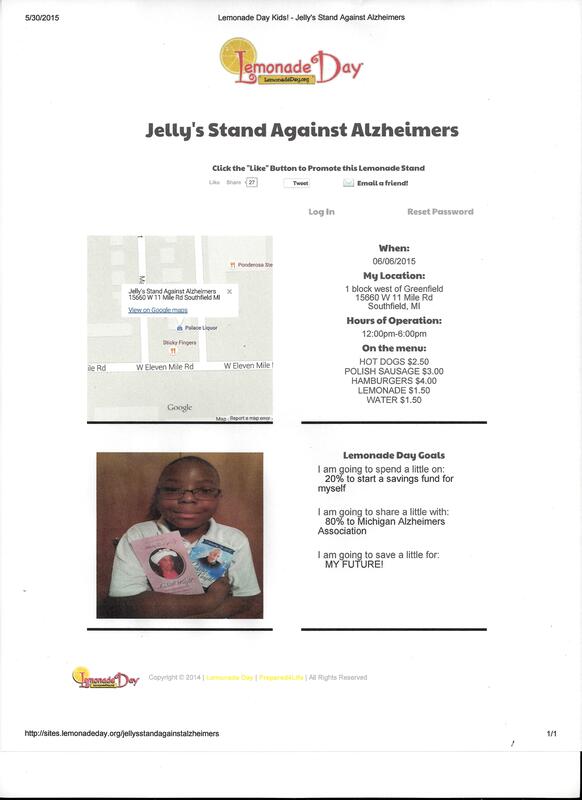 Jelly has participated in Lemonade Day for several years now for different charities. What is Lemonade Day? This entry was posted in Alzheimers and tagged Alzheimers, Lemonade Day, Lemonade Kids, Longest Day. Bookmark the permalink.